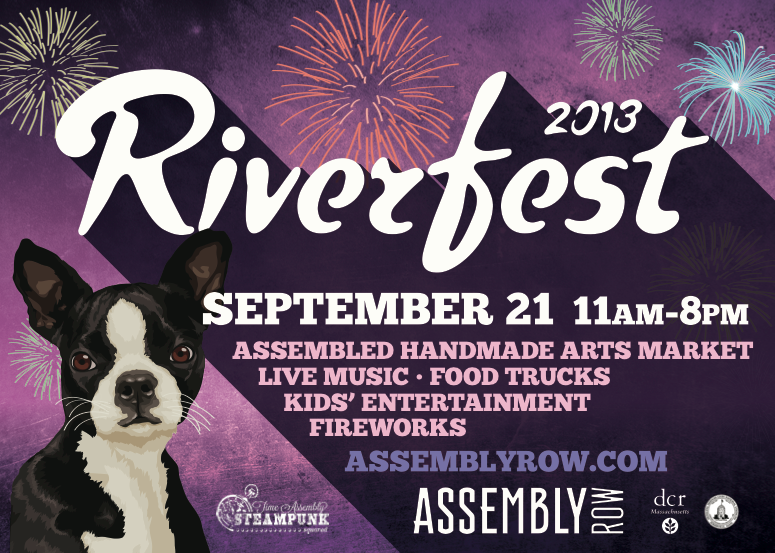 Somerville Soap Works will be at the Assembly Row Riverfest this Saturday with 13mL designs! Tomorrow’s weather looks to be perfect for a day out celebrating local art, design and the opening of the brand new Baxter Park. There will be an outdoor marketplace, food trucks, live music, a Steampunk Exhibition and fireworks at 8pm! The event opens at 11am and closes after the fireworks. It promises to be a fantastic day and I hope to see you there!